NORTH GEORGIA MOUNTAIN CABIN! Surrounded by tall hardwoods, this 3 bedroom/2 bathroom cabin offers an open floor plan, great room with stone fireplace & cathedral ceiling, wood floors, 2 bedrooms on the main, covered back deck, large loft area, spacious master on the upper level, master bath with a shower & jetted tub, a lower level with a bonus room & partially finished bathroom, oversized 2 car garage, 1 out building and private peace & quiet. 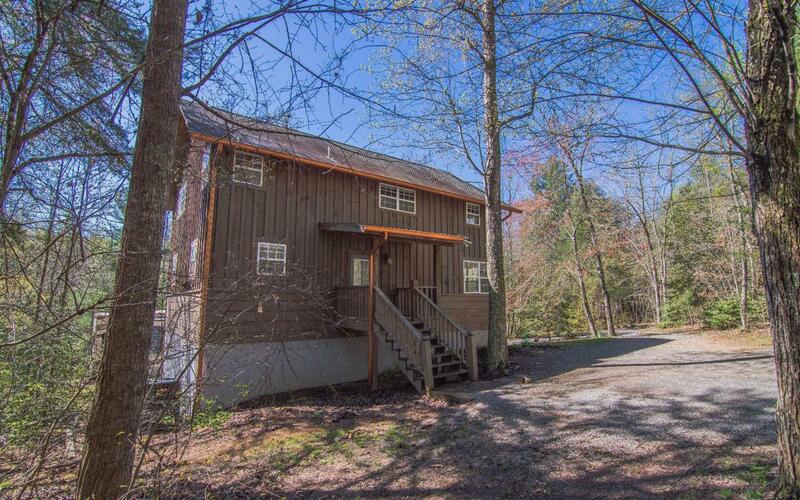 Convenient to Lake Nottely, Blairsville, Blue Ridge and Murphy, NC.